My daily facial cleanser is like a boyfriend to me. We’ve been together for a while now. I’ve been using Neutrogena Deep Clean line of cleansers since I was 15, so we are extremely comfortable around each other. It began when I was still suffering from some pretty severe acne and I often attributed the relationship with saving me from that chronic, embarrassing ailment. To say that I’ve now grown bored with our constant harmony would imply that we are without our issues, and that would be a lie. At this point in my life, I have combination oily skin, occasional acne, a few blackheads, and my least favorite issue: redness. I want to find a cleanser that doesn’t just do the job of helping balance and perfect each of these things, but that also excites me and leaves my skin looking clear, clean and luminous. Basically, my current cleanser is the Aidan to my Carrie. As a child of divorce, I need to be in relationships that are constantly exciting and dramatic or else I’m forced to leave … and my current cleanser is reliable, comfortable, and without an actual “flaw” per se. Yawn. I’ve grown bored enough to say goodbye and to try some new things though, in my story, there’s no Mr. Big for me to fall back on. In this case, I wanted to try some well-reviewed daily cleansers and see if they lived up to the test of my skin. As I mentioned, I enter this new “dating” period with some baggage, with not only a paranoid fear of redeveloping my torturous teen acne, but also a desire to leave my blackheads, redness, and excessive oiliness in the past. My ideal cleanser is refreshing, brightening, lightly exfoliating/purifying, and not too harsh. Who will win my heart? Probably nobody because my abandonment issues prevent me from ever finding real love, BUT I’m sure I’ll exit this with a new cleanser that leaves me feeling fleeky and fulfilled. As mentioned, I tested some of the most highly reviewed products on the market now, doing research on which ones would be most effective on my skin in terms of washing and maintaining it, but also helping me reach my desired bright, luminous and flawless look. Think of it as speed dating, though in this case “speed dating” means using a cleanser for a week… and no Post-It note breakups. The cleansers and I met on the Internet and now I’m hoping I’m not getting catfished. Without further ado here are my many “men” of Cleanse & The City. I’m instantly a little bit skeptical of any cleanser that can’t be used daily and this Jack Black scrub fits that description. It says to use every 3–5 days and after using it I totally understand why. That’s like going ghost (or being benched) on me every other, other day. Not into it. The cleanser’s texture is a bit gritty, made for exfoliating textured and rough skin, as well as for facial hair, and could be a bit harsh and drying if used every day. Its consistency is sand-like, grainy and rough, certainly not to be accompanied with too vigorous of motion (or emotion, for that matter!). I used it every every other day for a week and I noticed as it made my skin feel cleaner, brighter, and softer, particularly when followed by a generous layer of moisturizer. It’s cooling, refreshing, and definitely a new love of mine, though I must admit it’s not exactly a great price, particularly for its size, but if it’s only used every 3–5 days, it can last for a few weeks. It’s kind of like that boy who you’re into but know is best to see every once in a while. Every day can be a little much. As a bonus (warning: body acne ahead, not for the squeamish) I tried using it on a stubborn spot of acne on my shoulder and immediately noticed that it was gone the following morning. YAS. This cleanser could indeed be my Mr. Big. A little bit rough and harsh for daily use. Vitamin C is in full-effect. Smell is pleasant and not overpowering. 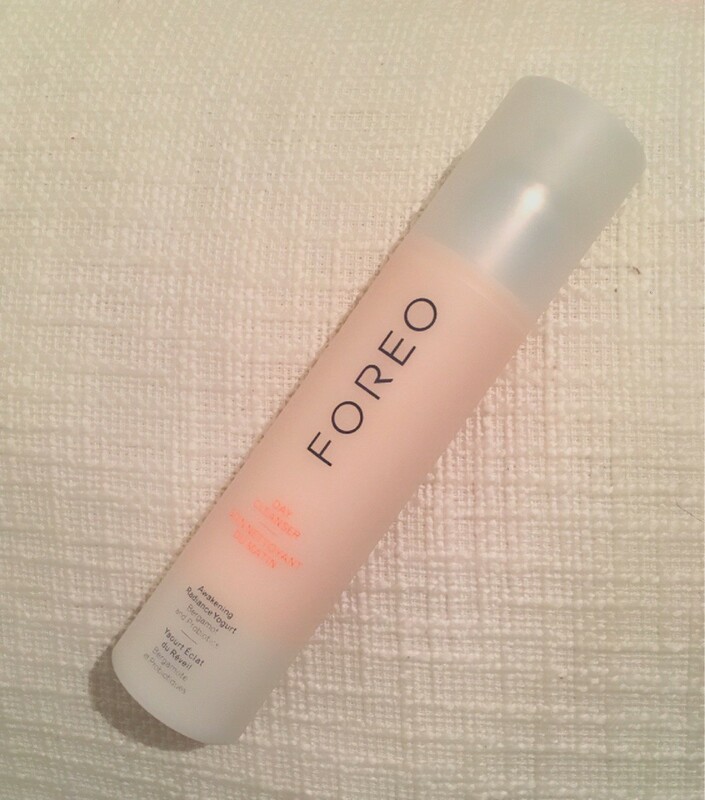 Full disclosure: this cleanser might be more effective when used with FOREO Luna Cleansing Brush , a small vibrating device for cleansing, but the packaging stated that it could be also used with wet fingertips and I decided to use it more economically, without the price of the accompanying hardware. The reviews of this cleanser (many of which were raving) were accurate in their descriptions of its hand in creating radiant skin, as it made me feel luminous and bright. It did not leave me feeling clean, as it was not gritty or exfoliating as much as it was light and foamy. The consistency is indeed that of yogurt, and though it feels soothing and soft, it’s more reminiscent of a temporary moisturizer than a penetrating cleanser. Perhaps the tool would have played a role in making it feel as though it actually penetrated the skin, but if that’s the case I would vote against advertising it as an option. Of all of the cleansers, I will say this seemed like the most actual bang for the buck, with a little going a long way in a large package. A penny-size amount covered my face and anymore felt like a bit of a waste. If I’m being super in-depth (this is investigative journalism, after all!) the packaging was really sleek and stylish without being gendered, gaudy, or gimmicky. I liked that. Luxurious and soft yogurt-like texture. Requires a bit more of a heavy hand, possibly more effective with LUNA device. This was the first cleanser I chose to try out, so it’s near and dear to my heart, but I will remain fair. Unfortunately, it didn’t feel as though it was particularly helpful in terms of textured skin or doing the “deep cleaning” it claimed that it would. I immediately noticed that it felt as light as air, with the texture of a cloud. It seemed to evaporate as soon as it left the bottle, with only a vague, gritty wiping motion as I attempted to massage it into my pores. Basically, it wasn’t rough enough to make me feel like it was anything but a bit of a quick, superficial clean. If you’re ready to step into the shower and get to scrubbing this is not the cleanser for you. The pros? It smells amazing, it’s natural and feels much lighter than chemical-based cleansers, and it truly feel as though it cleanses the skin… until the day rolls on. Its texture is both foamy and slightly gritty, which is a great combination, soothing but also effective, perfect for light and relaxing massaging, but not for deep cleaning. Think of this as the dainty spa day. It’s great for a treat, but not enough for consistent use. 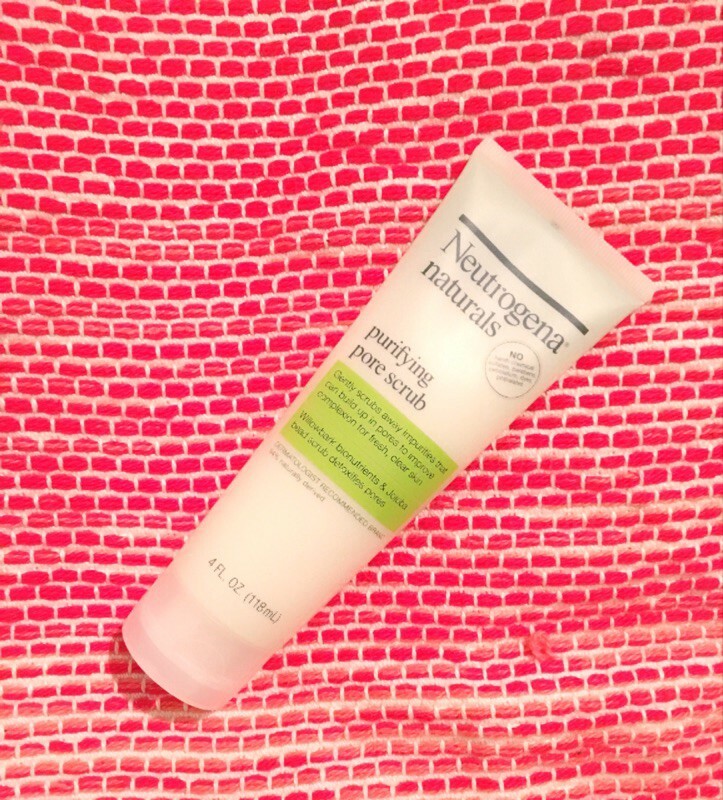 If you have sensitive skin or skin that’s smooth, pure, and untouched by the evils of the world, I would recommend this… and, oh, how I envy you. Not effective for long-term use. Natural ingredients for a natural and refreshing, light feeling. If my usual cleanser is my boring soon-to-be ex-boyfriend, this cleanser is the questionably similar guy in an uncomfy, natural “hippie” phase. He’s talking a lot about veganism and pretentiously listening to the Grateful Dead and refusing to pay for my Uber home. It’s pretty similar to the usual Neutrogena, but a bit more natural and a lot less chemical, something I wanted to focus on in finding a new holy grail cleanser. I must say that I enjoyed this slight upgrade. 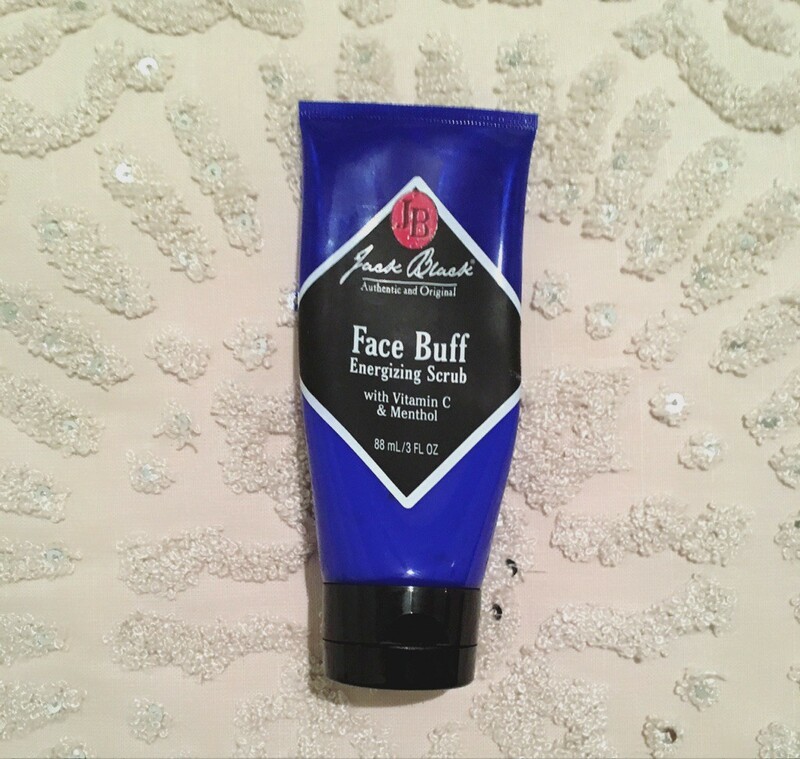 It left my face smooth, my dreaded pores smaller, my complexion bright, and my skin feeling really clean. That all being said, if I had dry skin I might be wary at the “scrub” part of this equation, because it did seem to be a tiny bit drying to my slightly stubborn dry spot. Luckily, with the help of extra moisturizer, this was quickly solved. It’s also slightly watery making the actual applying a bit messy, especially in a running shower. And though most online reviewers seemed to love the smell, I HATED it. It smelled like the little shampoo that comes in the packages of hair dye and it almost gave me pause in scrubbing it on my face. That said, especially considering the affordable price, I would definitely purchase this as a new daily cleanser. Deep cleaning and soothingly exfoliating. Watery and can be hard to work with. And if all of these cleansers were to be compared to the men in Carrie Bradshaw’s life, this would be the Russian artist, Aleksandr Petrovsky. I was attracted to the name, as Mario Badescu’s skincare products have a reputation for being the major keys to achieving perfect skin. 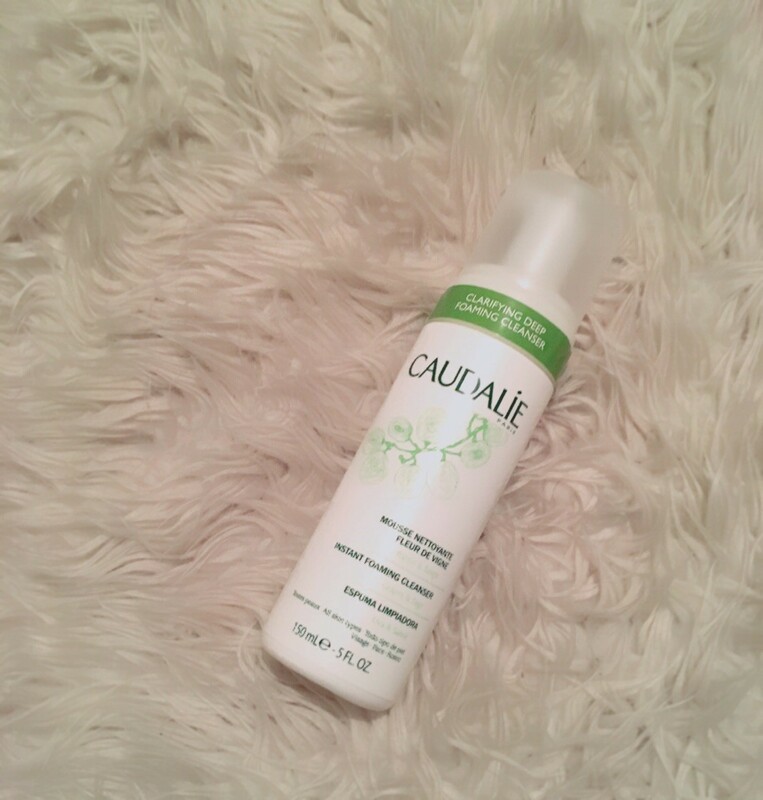 Unfortunately, the flashy reputation and prestige blinded my normally thorough skincare standards, and I chose a cleanser that just wasn’t the right fit for me. I purchased this at Ulta in a kit, the series of products given the title “The Regimen” and to be used in tandem with one another. I was excited and I pictured myself with joyful, blissful, radiant skin. After all, I am someone who is looking for love. Real love. Ridiculous, all consu- Ok, you get it, I’ll chill with the SATC quotes. This cleanser just didn’t fit me. Online reviewers said it was best for those with acne prone skin and it seemed to be a bit divided with reviewers on whether or not it was best for oily or dry skin types. In the end, I found its effects at balancing to be slightly counteractive, leaving my oilier areas a bit shiny and my dry areas a bit scaly. I will say it smelled great and left me feeling fairly clean, but as the days went on it just didn’t seem to be doing what I needed it to in terms of long-lasting effects, though I noticed it helped my redness a little bit temporarily. The packaging was actually extremely efficient, with it dispensing the perfect amount. The texture was a bit silky and soft and without much grit or scrub to it. It also left a slightly filmy feeling on the face after my first use, which was unsettling, but I realized eventually this one takes a bit more rinsing and massaging. Great packaging with easy dispensing. Soft texture, though with a slightly filmy feeling post-rinse. Affordable prize for the size. Not as “balancing” as it could be. Not as effective for long-term use. Louis is an Ohio born journalist now living in Brooklyn. He likes eating burritos, doing his eyebrows, and watching episodes of Keeping Up With the Kardashians without fear of the future. Please follow him on Instagram, he tries to be funny. Cat Baldwin has been a Brooklyn-based illustrator for 8 years after fleeing the scent of patchouli that haunted her formative years in the Pacific Northwest. She spends her free time seeking out delicious food and maintaining what she likes to call her “moon tan”. Follow her on Instagram @catbee643 for photos of cats, pizza, and colorful city living.